Take $100 off with coupon code MARCH100. Cardiac Science Powerheart® G5 AED - includes 8 year warranty, adult electrode pads, battery, user's guide, and data cable. Spare Adult Defibrillation Electrode Pads - Keep an extra set on hand, just in case. Pediatric Defibrillation Electrode Pads - Reduced Energy Electrode Pads for patients age 1 - 8, 55 lbs or less. 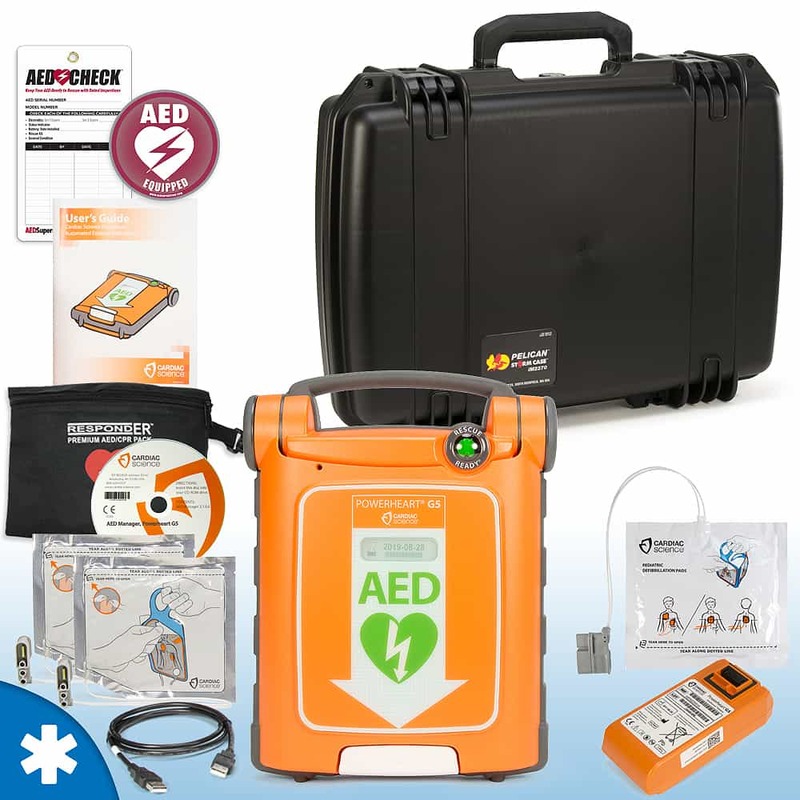 Semi-Rigid Carry Case - Semi-rigid carry case to protect your Powerheart G5 AED. RespondER® Premium 2 Rescuer CPR/AED Pack - 2 CPR Masks, 4-Pair Gloves, Heavy-Duty Shears, Prep Razor, Towel, Antiseptic Wipes, and more.